Scott M. Gawlicki is a Fortnightly contributing editor, based in West Hartford, Conn. Email him at s.gawlicki@excite.com. 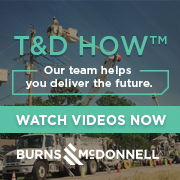 If anyone understands the challenges associated with modernizing the country’s aging transmission and distribution (T&D) system, it’s Laurie E. Aylsworth, vice president, transmission projects, at Berlin, Conn.-based Northeast Utilities (NU). As one of the nation’s largest electricity providers, NU is in the midst of a massive, five-year $3 billion-plus bulk power delivery system build-out that will add or upgrade a series of 115-kV and 345-kV transmission lines throughout Connecticut, New Hampshire and Massachusetts. Each will tie into, and ultimately improve, the reliability and performance of New England’s regional transmission system as a whole. “When it comes to making infrastructure improvements, it’s sometimes like that arcade game ‘Whack-A-Mole.’ You resolve one issue and because of that the electrons begin to flow differently and another problem pops up. So you have to look at it from a big-picture perspective before you can address problems in a certain area,” Aylsworth says. Indeed, the state of the nation’s aging T&D infrastructure is generating plenty of ink these days, and with good reason. After decades of minimal investment in T&D networks, it appears U.S. electric companies are finally stepping up to the plate.